Holidays in Devon offer countryside and coastline, ancient ruins and modern shopping centres, and it's perfect for families or couples. If you’re after adrenaline-filled things to do in Devon then you can find out the best places for climbing, white water rafting, horse riding and a host of white-knuckle fun activities. If your idea of bliss centres around peace and quiet, tranquillity is something that Devon’s not short of. Hit one of the glorious beaches those in the North of the county are perfect for water sports. Ramble in miles of unspoilt countryside, visit historic buildings, browse museums and art galleries, or take a boat trip. Visit some awe-inspiring gardens or simply while away the hours with some relaxing treatments at one of our top spas. 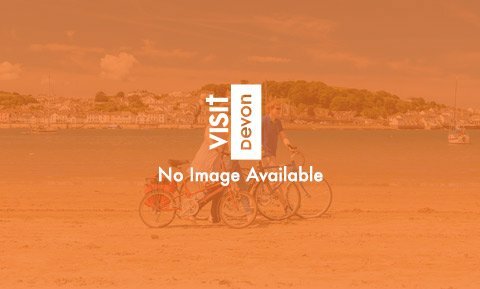 Your downtime is yours to do with as you please but, if you’re stuck for ideas for relaxing things to do in Devon, check out our pages of attractions, you'll find the best of North Devon's attractions here. in Devon page for a burst of budget inspiration. Many visitors take their Devon holidays in the winter months, when the landscape takes on a completely different but equally charming character. Coming to Devon in the colder seasons doesn’t mean you’ll be stuck for things to do – there’s plenty to do at any time of year, regardless of the weather. You might want to take advantage of the coastal winds and do a bit of windsurfing, go to the theatre, take a craft workshop, wander through some historic houses and castles, visit the fish at an aquarium, paint some pottery, take a wine or foodie tour or go shopping. For more ideas of all-weather activities, go to our Rainy Days page. The biggest county in the South West has the biggest number of attractions, so whether you’re looking for a day out guaranteed to keep the whole family entertained or a relaxing trip to a historic house, there’s plenty to choose from. Whether you fancy sharing the joys of sailing with your family, paddling along rivers and canals, paddle boarding or wild swimming, you’ll be hard-pressed to find anywhere to rival our beautiful county. Raining today? There's still got plenty to keep everyone happy in Devon while we wait for the sun to pop back out!